Wedding planners will tell you, to have a successful wedding it’s important to begin the planning process months in advance of your special day. 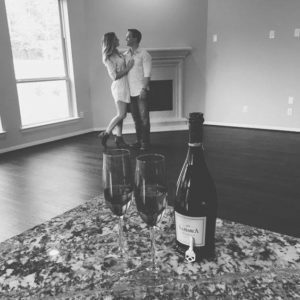 Preparing for the next phase of your life together – Homeownership – is not much different. In fact, home buying experts suggest that in order to have a successful home purchase would-be homebuyers should begin the home qualifying process at least 3-6 months in advance of their purchase. Schedule a telephone or in-person interview with a lending professional and complete a preliminary review of your qualifications. Keep in mind at this stage of the process you are not shopping around to find the lowest advertised interest rate. That method often leads homebuyers into to dealing with “low-ball” lenders that try to attract buyers with unrealistic rates and promises. Instead, the purpose here is to find a knowledgeable lending partner that you are comfortable with, and then, let him or her review your home buying strengths …and possible weaknesses. If any weaknesses arise, your lending partner should be able to provide you with a roadmap on how to improve your qualifications for a future purchase. Explore all your options. Too often first-time buyers make the mistake of searching for a specific loan, like an FHA loan, simply because their friend or co-worker suggested it. Instead, ask your lender to provide you with all the loan programs that fall within your qualifications. That way you can select the option that’s right for you. In today’s market, there are a number of low down-payment loans to help first-time buyers overcome the down payment hurdle. Gather necessary paperwork and set it aside for when you are ready to apply for your loan. This includes Federal Tax Returns, W2’s, Paystubs, Bank Statements, or whatever your lender advises that you will need for a full approval. That way you can move quickly once you locate the right home. Take your loan qualifications to the next level by asking your lender to process your paperwork for a Full Loan Approval. Unlike the initial review or a pre-approval, a Full Loan Approval brings you closer to a loan guarantee. This will not only provide you with piece of mind, but may strengthen your offer when bidding on a home. Sellers find great comfort in knowing a buyer has a mortgage approval that is nearly guaranteed….and one that can close quickly! Stay focused at the task at hand. Too often newlyweds become distracted and assume mortgage rates and home prices will remain at current levels. Nothing can be further from the truth. With mortgage rates expected to rise, chances are the same home a year from now will become more expensive to own. With the right preparation and home buying team behind you, reaching your goal of homeownership is just around the corner. Find out how American United’s Approval First loan can turn you into a “cash” buyer in the mind of the seller – click here for details. Joseph Farella – Industry expert, award winning author, and Executive Vice President for American United Mortgage Corporation. Mr. Farella has guided thousands of home buyers and home owners throughout the years toward successful homeownership. He is also the keynote speaker for Homeownership Now, New Jersey’s longest running educational event for first-time homebuyers. Looking for expert advice – Joe and his team are available to answer your questions and assist you down the road to homeownership at 908.322.5423, or by email at joe@americanunited.com.